When it comes to choosing a Halal summer destination or fun family vacation in Europe, many Muslim travellers will consider Amsterdam. That is not a surprise because the city has a lot to offer to the visitors. If you are planning a trip to this beautiful city, here are the 6 best value Halal hotels in Amsterdam that you can consider! 6 best value Halal hotels in Amsterdam that give value to your money! To enjoy a pleasant holiday in a foreign, non-Muslim city like Amsterdam, it is important for you to find and choose a hotel that can cater to your needs as a Muslim. Serving Halal food or vegetarian meals, providing a prayer space or Qibla direction, offering a private pool or spa are some of the criteria of a Halal-friendly hotel. So, let’s check out several best value Halal hotels in Amsterdam that can provide you with some of these services. One of the best value Halal hotels in Amsterdam that can offer you a great value for your money is Via Amsterdam Hotel. 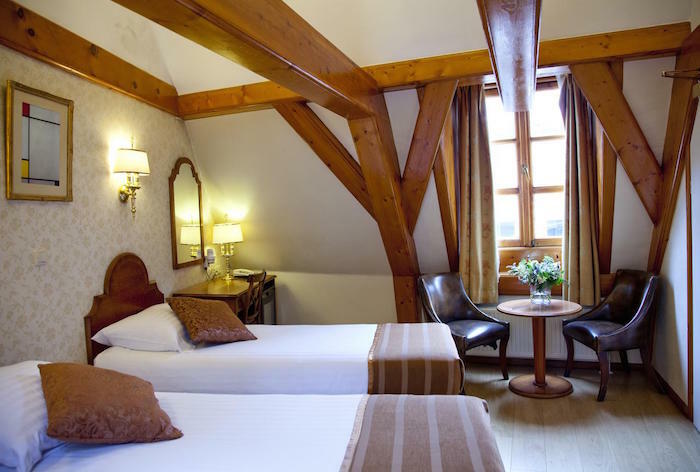 The price is very affordable and it is ideal for you if you’d like to save on accommodation during your trip to Europe. Most importantly, Via Amsterdam also provides vegetarian meals to its guests upon request. Location wise, it is quite strategic as famous attractions like Rembrandtplein and Rijksmuseum are just in the vicinity. To get the best prices and make your online booking, click here! 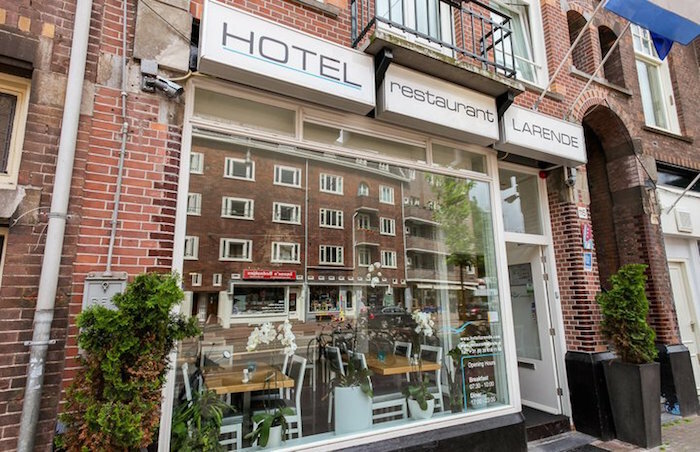 If you insist on staying very near to other popular attractions in Amsterdam, then Hotel Larende is the perfect option for you. It is one of the best value Halal hotels in Amsterdam that provides Halal, vegan, vegetarian, and gluten-free breakfast to their guests. The price per room is also affordable, so it’s an ideal hotel for Muslim backpackers or for those who are on a tight budget. Top places like Anne Frank House, Dam Square, and Van Gogh Museum are located near to this hotel (1km-2km). 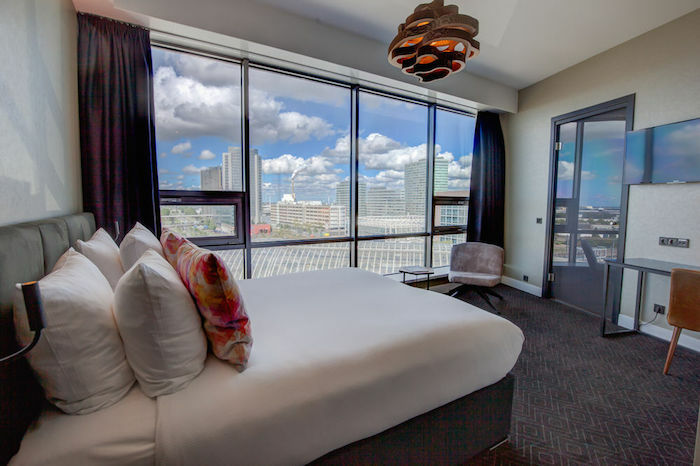 Since the Hotel Larende is in downtown, you can get a nice view of the city. However, it might get a bit noisy at night since there are several restaurants nearby. To ensure you get the best prices, click here and make your online reservation today! 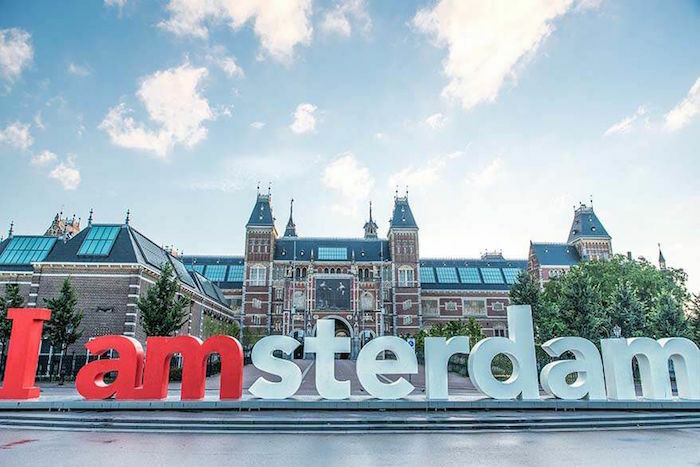 When travelling in Amsterdam, staying in the city centre is a clever decision because it makes it easier for you to go sightseeing and explore the attractions in the area. One of the best value Halal hotels in Amsterdam for you to pick is Hotel Atlanta. 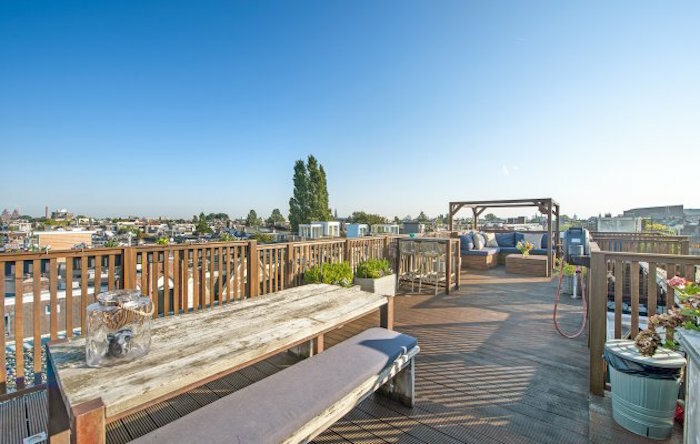 In terms of the location, it is strategically situated in the downtown area of Amsterdam. Flower Market, Rembrandtplein, and Tuschinski are only meters away from this hotel. Also, you will be able to enjoy Halal breakfast here; just don’t forget to request beforehand. Click here to make your online booking now and get the best prices! Grand Hotel Downtown is also one of the best value Halal hotels in Amsterdam that you can book during your holiday in the Netherlands. It is very near to tram station and located in the heart of Amsterdam. By staying here, you can walk to many famous attractions in the city. Van Gogh Museum, Dam Square, Rijksmuseum, and Rembrandtplein are some of them. Halal breakfast is also served upon request at this hotel for Muslim travellers. Click here to look at the room options and get the best prices today! Amsterdam is indeed one of the top Muslim-friendly cities in Europe as you can find several Halal hotels here – B&B Helmers Hotel is one of them! The hotel offers not only Halal food, but also continental, gluten-free, vegan, and vegetarian breakfast. The rooms are also modern and spacious. If you stay here, you can walk around town to explore the attractions in the city. Also, you can stroll at the famous Vondelpark as it is only stone’s throw away from the hotel. Plus, the view from the top terrace is amazing! Click here to get the best prices at this best value Halal hotel and make a quick and easy reservation online! Stylish and modern rooms are what you can expect here at Mercure Amsterdam Sloterdijk Station. 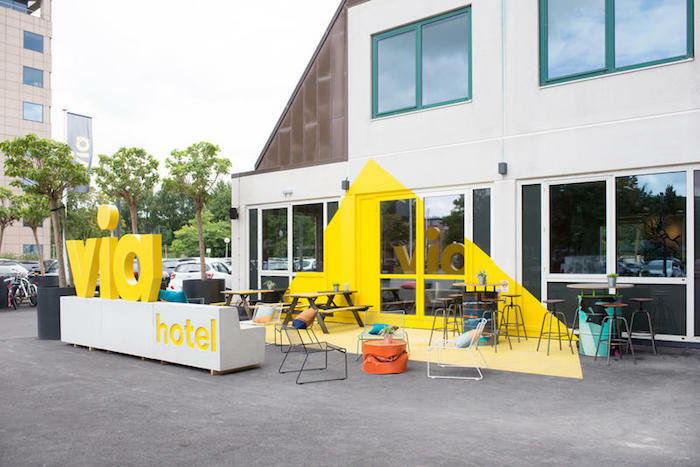 As the name implies, this four-star hotel is located next to Station Amsterdam Sloterdijk that provides tram, train, and metro to the Schipol Airport and Amsterdam Central Station. 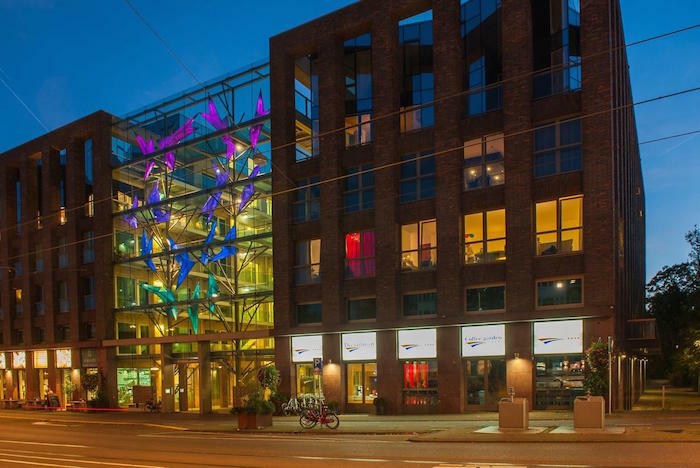 Mercure Amsterdam Hotel is a great option if you would like to stay a bit out of the city centre and enjoy taking a public transport for sightseeing. Also, it is perfect for Muslim travellers as this best-value hotel can provide vegetarian meals upon request. Check for the best prices and make an online booking by clicking here. 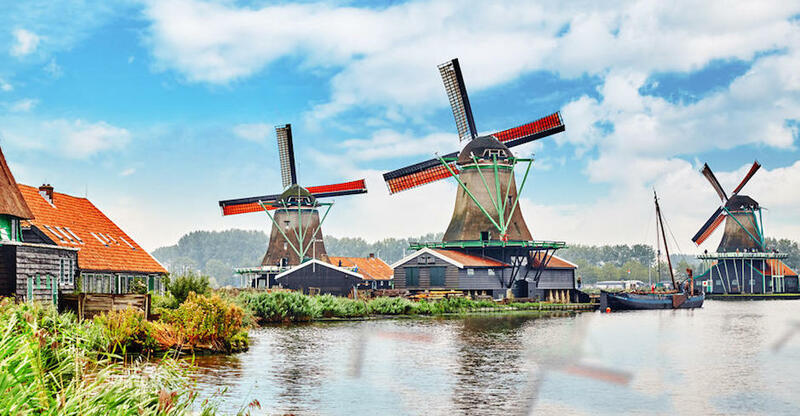 Take photos of the windmills – the famous landmark of Amsterdam!